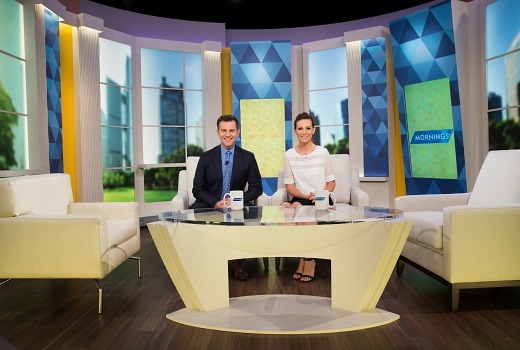 EXCLUSIVE: Nine’s Mornings show returns on Monday with a new-look set. 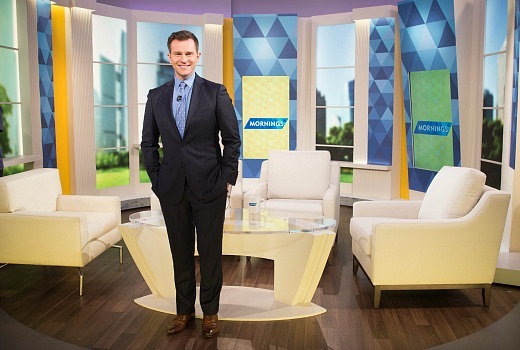 David Campbell, now dad to twins, returns but new mum Sonia Kruger is on maternity leave. Wendy Kingston will guest co-host on Mondays with Georgie Gardner appearing Tuesday to Fridays. 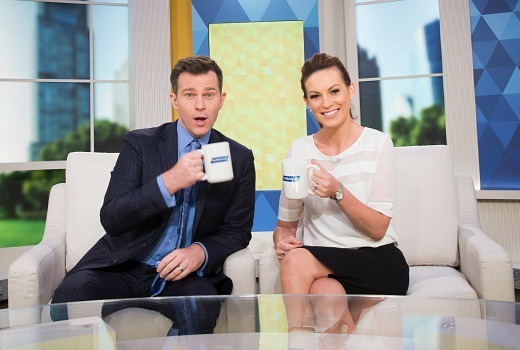 Haha they have not copied studio 10 with the mugs, c’mon people. So it’s coming back at long last. Not before time, those repeats were getting a bit stale. This morning they showed a segment on teen sexting which referred to “The Napthine Government’s new sexting laws”. The Napthine government of course lost office last November. Oh noes, personalised mugs!! !1 How dare they?! Studio Ten should’ve copyrighted that, since it was their original idea! Boycott Mornings people! Looks different. I’m more curious to see how this looks on-air. The caps look nice but that’s never how it looks on TV. Also the windows look kinda silly. The show isn’t my cup of tea but aesthetically, I love the design. Glad to have mornings refreshed for 2015. Copies 10 with the mugs, but that is typical of channel 9, have no ideas of their own. The yellow stripes look weird and out of place. They’ve copied Studio 10 with the personalised mugs.